Announcing the release of the new middle grade fantasy novel: Diana’s Dragons: The Awaited, by San Diego County author and single mother, J.R. Schumaker. In these times when more and more readers and authors acknowledge the need for strong female main characters and diversity in the Arts, the debut novel by J.R. Schumaker brings us all of these elements—plus dragons—in a story that has delighted beta readers of all ages and genders. Diana’s Dragons: The Awaited was released digitally in September 2017 and in paperback in November 2017. The press is invited to a book release/signing event on Tuesday, November 28, 2017 at 7:00 p.m. at a private home, 11566 Alborada Drive, San Diego, 92127. Someone is stealing dragon magic. Diana Santos and the dragonkin face a sinister intruder who uses the power of their own secrets against them. In their struggles to thwart the plans of the villain in their own backyard, Diana risks unspeakable loss, and the dragons risk a fate worse than extinction. 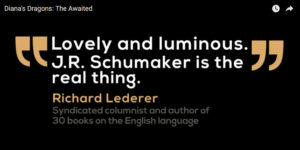 Of course Schumaker does observe a deeply fundamental differentiation between her actual children and her “book baby.” However, its constant call for attention moved her to “…free it from its digital cradle and nurture it to maturity; It is, without doubt, the proudest non-biological creation of my life,” she says. 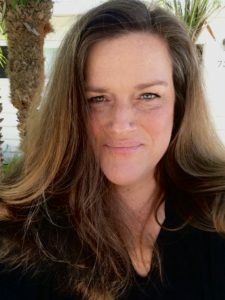 J.R. Schumaker is a former freelance writer and editor, newspaper columnist, and contributor to many blogs, online magazines and websites (writing as Jennifer Schumaker). Her career as a highly involved single mother of three sons and a daughter, now grown—the family always thriving though ostensibly barely surviving—shaped most of her hours for nearly two decades. Throughout her child-raising years, Schumaker also devoted herself as a volunteer and leader in human and civil rights organizing, especially in LGBTQ family recognition and rights. Diana’s Dragons: The Awaited is available in paperback and kindle formats. An audiobook version of the novel is slated for release in May 2018. More information is available at www.dianasdragons.com. J.R. Schumaker works from home in San Diego County, California. She earned a B.A. from Creighton University, in Omaha, Nebraska, then went on to complete the program in elementary education/adolescent literature at College of Saint Mary, also in Omaha. 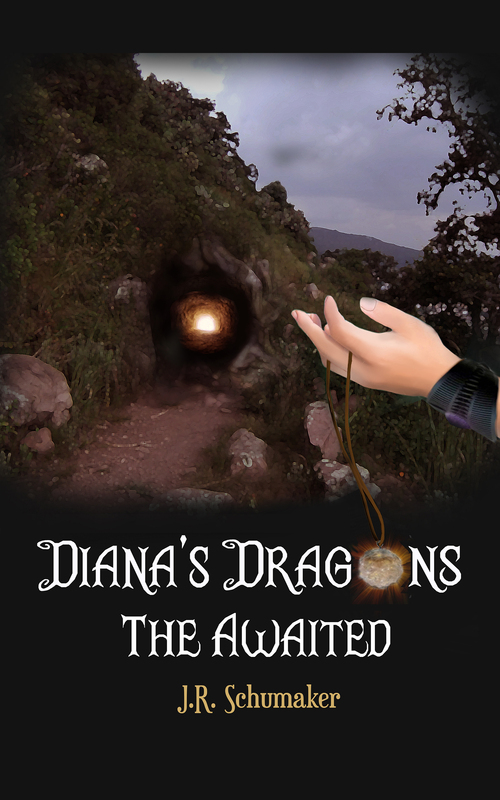 Diana’s Dragons: The Awaited, her debut novel, is the first book in a quadrilogy. Schumaker is currently at work on the second installment: Diana’s Dragons: The Stolen.